The Representative Council Election 2014 will take place soon. As the date approaches, Tsemppi encourages you to pay attention to this important event. 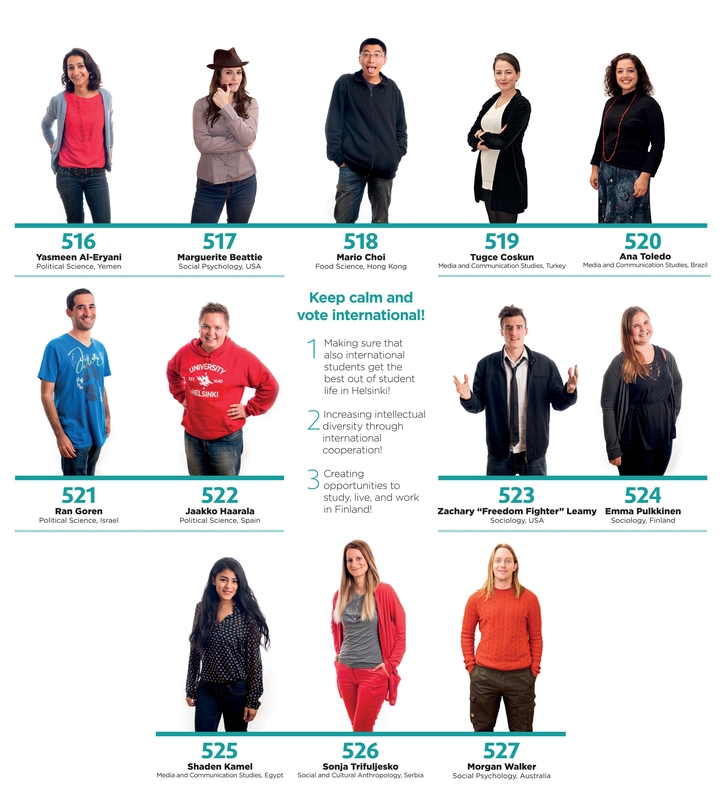 Voting is an important way to exert influence over our university’s policies. We invite you to take a look out our platform! Our aim is to represent the international community of students and researchers at the University of Helsinki as well as Finnish students searching for international opportunities. Over 2000 international students were enrolled at the University in 2013, but their representation in the council of the student union is close to non-existent. We need to have international students represented in the council in order to be included, better integrated, and to get our voice heard. We think that the Student Union of the University of Helsinki can promote integration and internationalization by influencing on the following three levels. The student union should have an officer taking care of international issues. By this we can ensure that international students are being heard and that English is used as an equal language of communication next to Swedish and Finnish in all the student union activities. HYY should support subject organizations and other associations operating under the student union in including international students into their activities and in becoming more open to all students regardless of their knowledge of Finnish. Student associations are an important way of building social and professional networks in Finland already during studying. Furthermore, all the student union members should be able to enjoy the facilities HYY has to offer. HYY should actively inform international students and associations formed by them about how to make a use of facilities, such as meeting rooms, party halls and saunas. Organizing more and better courses in English and increasing the opportunities for international researchers to qualify as teachers. Housing opportunities in the capital region should be equal for international and Finnish students. The fact that students from abroad moving to Helsinki for the first time, do not often have existing contacts for housing should be taken into account. Opportunities to stay in Finland after graduating should be promoted and international students and graduates should be encouraged and helped to find internships and work in Finland. If you want to know more about our candidates, take a look at this Facebook page. To get to know their names and faces click here! This entry was posted in Sekalaista by Nava. Bookmark the permalink.